The Swedish government has withdrawn a controversial brochure on child marriages only hours after it sparked outrage from members of the public. 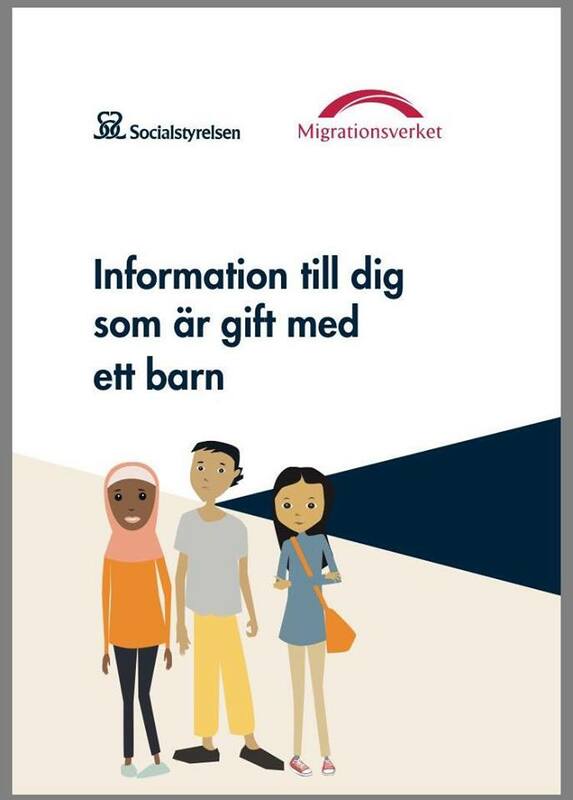 The brochure entitled “Information for Those Who Are Married to a Child”, which was published by the Swedish board of health and immigration, gave advice to newly arrived immigrants who may be involved in a marriage with a minor advising them that it is “inappropriate” to live with their underage spouse. Swedish politician Hanif Bali commented on the brochure on Facebook saying that it did not list the consequences for breaking the law. He added that many of the countries where the migrants come from in fact do not have lax laws in regards to child marriage. The Swedish board of health and immigration later withdrew the brochure and released a statement on their website stating “strong reactions” were the reason for the withdrawal. “Sweden does not allow anyone under the age of 18 to be married in this country. “However, according to current legislation, the main rule is that a marriage valid under the law of the country in which it is concluded is to be recognised by civil law in Sweden. A new legislation is currently being prepared by the government,” Pär Ödman, Chief Legal Officer of the National Board of Health, said. Earlier this week, the Swedish parliament voted to ban all child marriages and refuse to recognise them in the future despite some protest from the governing parties which wanted to amend the ban to make several exceptions. The issue of child marriages has grown following the massive influx of migrants from the Middle East and Africa since 2015. In 2016, the Norwegian Directorate for Children, Youth, and Family Affairs (Bufdir) reported that child brides as young as 11 were arriving in the country. Sweden has also had several child marriage cases, some involving underage girls being raped or becoming pregnant.